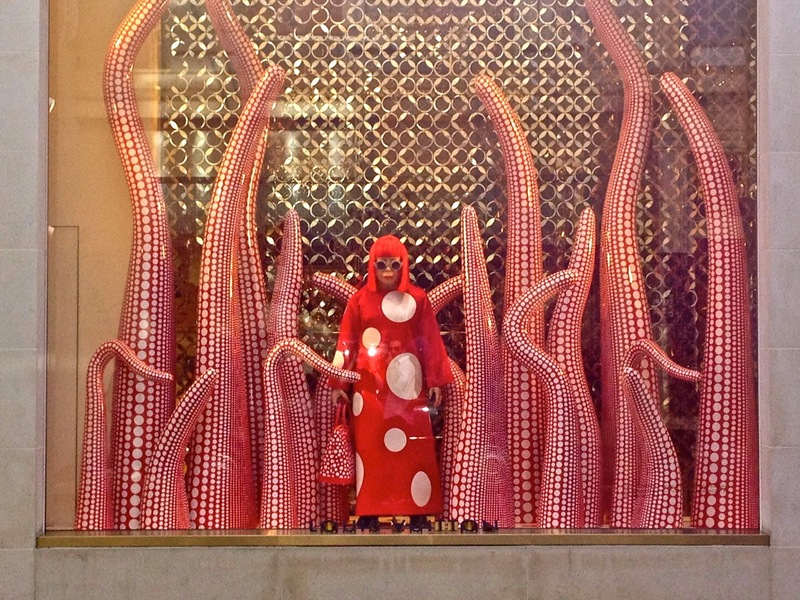 Yayoi Kusama is now in her 80s. I saw her work for the first time in 2009 when she covered the trees along South Bank in London, very similar to a previous one for the Singapore Biennale (2006). 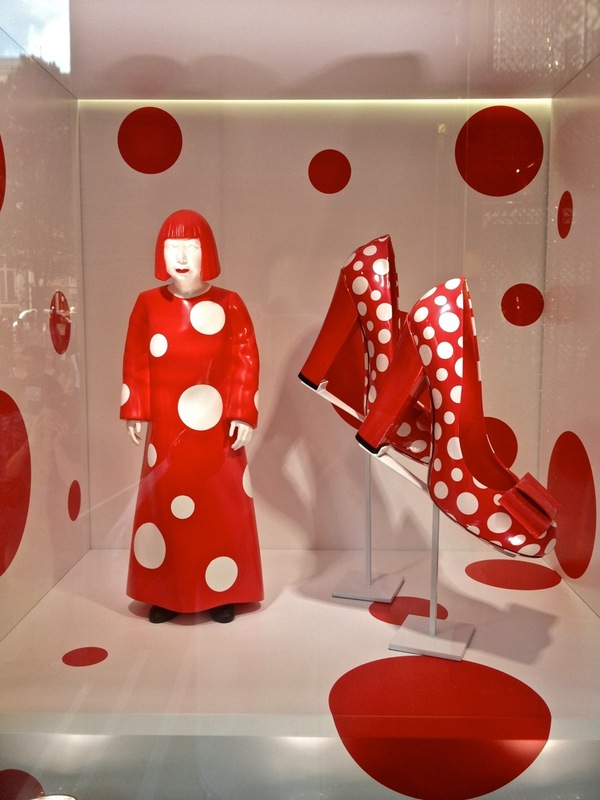 She is very famous for painting herself and covering canvases, people and pumpkins in polka dots. It is worth researching her career which is very prolific using all kind of media. 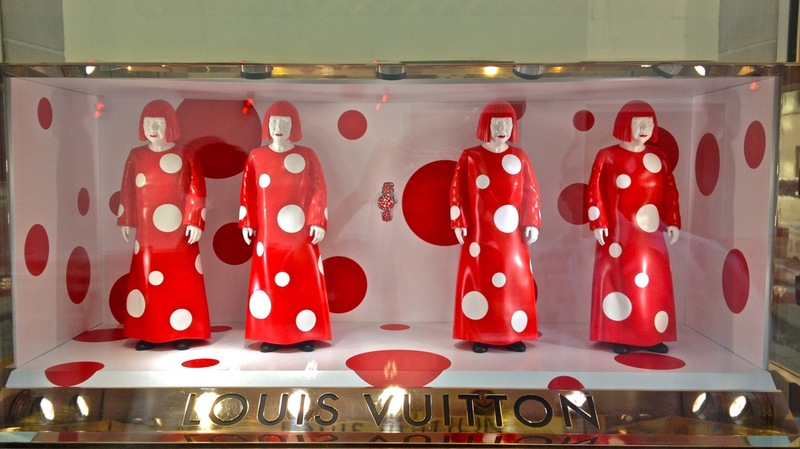 Marc Jacobs (LV designer) is an art collector and a fan of Kusama’s work. 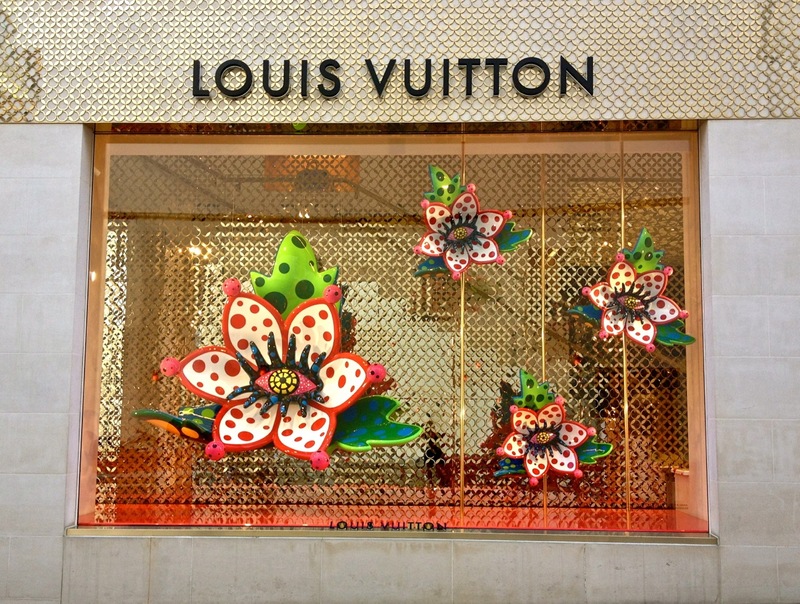 The collaboration between the two of them for Louis Vuitton caught my eye when walking along Bond Street in London. 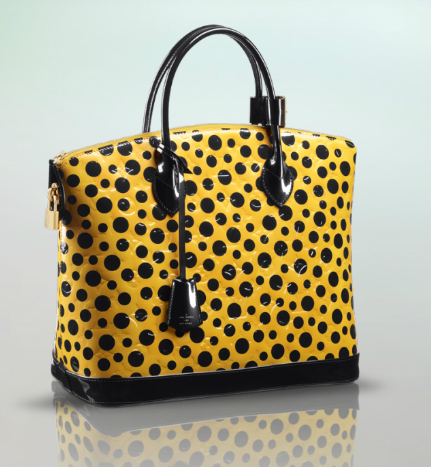 If this is of your taste and you have about £2000 available you can be the proud owner of a very discreet piece of art/handbag. Ever since I discovered her work I keep recognizing it everywhere. Earlier this year the Tate Modern ran a retrospective of her work. Although the exhibition closed in June 2012 you can visit this link and watch a video where she explains more about her art. 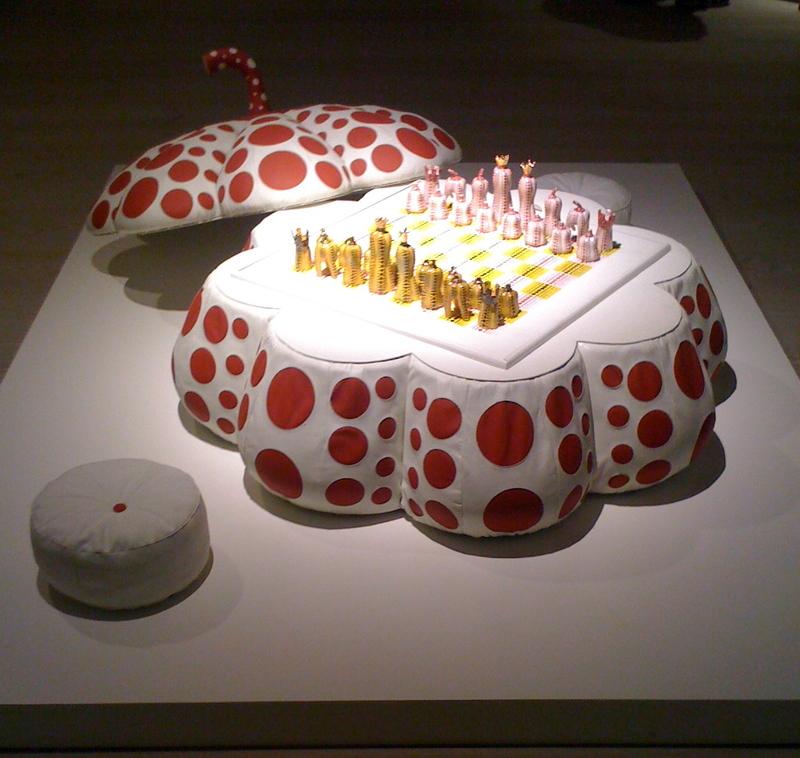 It was a surprise after deciding to post about Yayoi Kusama finding out that there is a piece at the Saatchi Gallery (one of my favourite galleries in London). 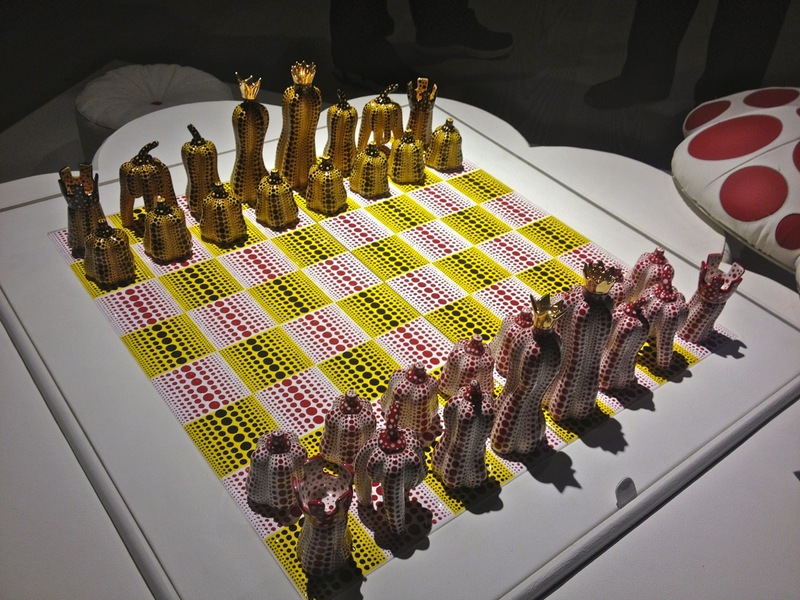 She is part of a collective display called “The Art of Chess” and amongst chess sets designed by Damien Hirst and many others. So I went there and took a few pictures of it. Again dots and pumpkins. 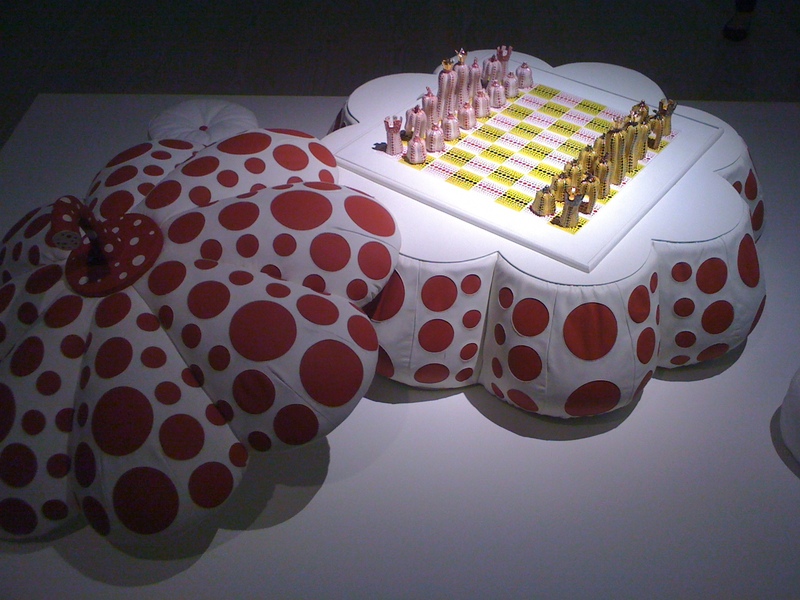 If you want to find out more about Yayoi Kusama here is her website where you can check upcoming exhibitions. Also in Wikipedia for some history. Don’t miss the Saatchi Gallery, presenting various Korean artists (Korean Eye 2012) until 23rd September, very interesting as usual. Worth visiting the shop for books and quirky items. Wow. You took these photos yourself, I wish I lived in London! Very unique site! Loved the fashion. Thank you for stopping by and liking my post.